In my family, there are several big eating weekends - Thanksgiving, Christmas, and 4th of July. We always grill on the 4th. We're also kind of hokey. We also watch the local parade and the town's fireworks. If you're grilling this holiday weekend, why not give this patriotic burger version a try? Its red peppers, white onion and blue cheese toppings will make you proud to be an American! Ingredients: onion, blue cheese slices, red pepper, hamburger buns, hamburger patties. While your burger grills, toast then butter the bun. Roast, saute or grill the red pepper. 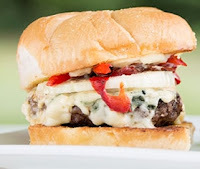 During the last 1-3 minutes on the grill, place a slice of blue cheese on the burger (slices melt better than crumbles). Add a slice of onion and red pepper. Now, don't you feel more patriotic? Happy 4th of July! Melinda Curtis is an award winning, USA Today bestseller. 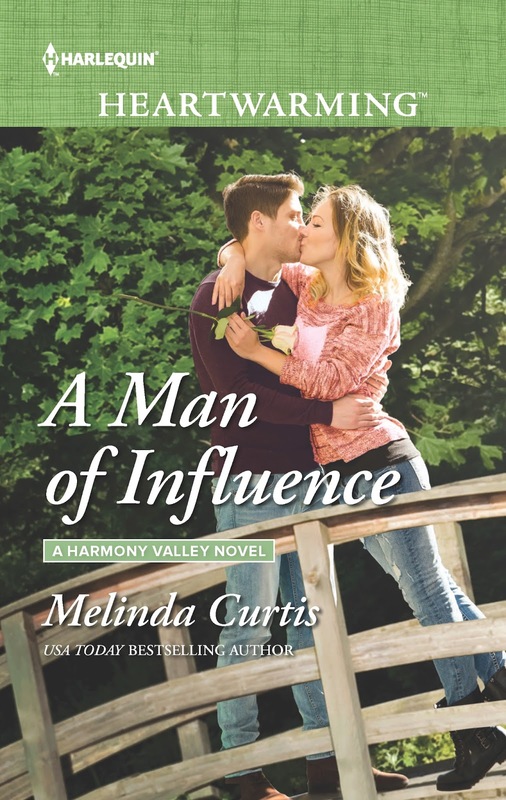 Her latest release - A Man of Influence - pits a sarcastic travel writer against a small town baker's assistant. Sounds good, but I can't eat peppers of any color these days. My digestive system doesn't like them. I love a well-done hot dog with lots of mustard. Sounds delicious, Mel. We are in Ireland, where they don't celebrate the 4th of July, so we'll probably be enjoying sausages, potatoes, and sticky toffee pudding.